On our last day of our shortened vacation we planned to visit out last Mission, Saint Francisco de Asis, and return to Mission San Juan Bautista that was closed on the way up. 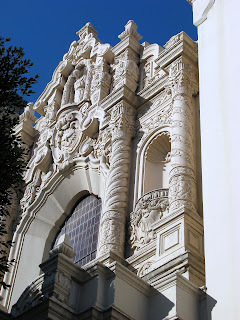 The Saint Francisco de Asis Mission, also known as Mission Dolores, is a beautiful Basilica. It took us a while to find a parking spot but we managed to find one a couple blocks away in this nice, residential area of San Francisco. It was strange. I mean, how appropriate that our last of the 21 missions was known as Mission Dolores? We toured the Mission and I took pictures. It was one of the better of the northern Missions. Pictures can be found here. 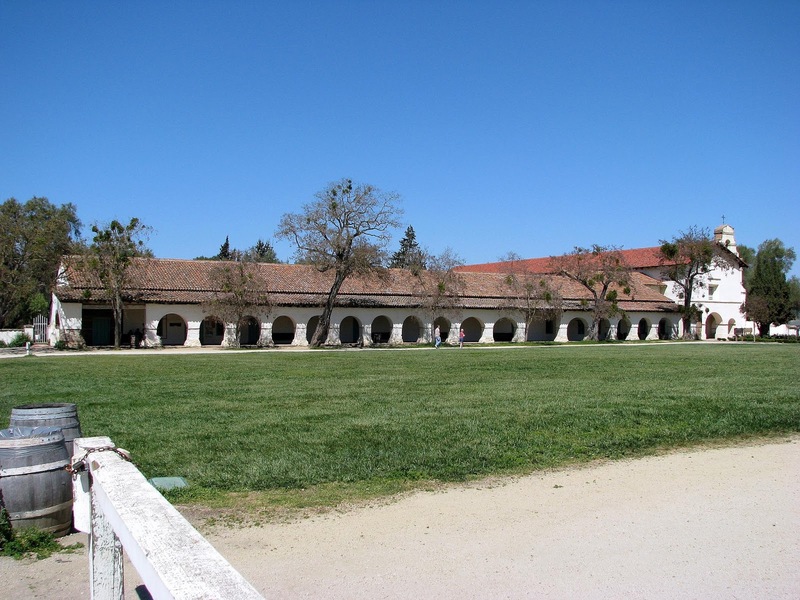 We left the city and headed south to Mission San Juan Bautista. This mission had been closed when we came up on day 1. We stopped to have lunch at JJ's Homemade Burgers. The burgers were pretty good. We walked up to the Mission and did the self guided tour. The Mission is really close to the San Andreas fault. Aa a matter of fact the fault runs along the edge of the cemetery on one side of the mission. The mission has sustained very little earthquake damage over the years. This may be explained by the very thick mission walls - 4 - 6 feet thick in places. Some of the pictures I took can be found here. I decided not to go down on the 101 and instead took the 156/152 east to the 5. This stretch of road was beautiful with everything being green and the road lined with forested rolling hills. The 5, on the other hand, was totally boring. I was expecting new towns and new sights since I hadn't been on the 5 for twenty years. No. There are no towns on the 5. The nearest buildings could just barely be seen on the horizon. Boring. I decided I need to get past this stretch so I cranked the Honda up to 90 and put on some music. That helped a little bit and we made it home in record time. The next few hours after getting home were occupied with unpacking, repacking, and talking with the "J" who was house-sitting for us. The next day would be an early morning with a flight to Minneapolis. The vacation was over. Oddly, I lived in SF for five years and never toured the mission. Go figure. GH: That's not so strange. I was in Oxnard almost 18 years before i went to our local Buenaventura Mission. It all depends if you're interested in a place or not. True. I've been on the 101 and the 1 so much over the last year or two that I hoped the 5 would be a good change but it wasn't.